AMNA Dance has taken pride in joining hands with SAHARA in organizing their Annual Event to be held on Saturday October 13, 2012. The South Asian Helpline and Referral Agency (SAHARA) is a multi-faceted health and human service agency established in 1991 to provide mental health services, advocacy, rehabilitation, and education to victims of domestic violence from the South Asian community in Southern California. SAHARA, meaning, "support" in Hindi, began as a grassroots effort spearheaded by a dedicated cadre of health and social service professionals who recognized the scarcity of linguistically and culturally competent domestic violence service providers in the South Asian community. Amna performed with NDM at the Dizzy Feet Gala at the Dorothy Chandler Pavilion! Sharing the stage with SYTYCD, Dancing with the Stars, Step Up Revolution, The LXD, and The American Ballet Theatre! Hosted by Katie Holmes, Nigel Lithgow, Adam Shankman and Carrie Ann Inaba! Jai Ho! Happy National Dance Day! Amna performs with NDM Dance Company for Jay Leno's webseries, set in his famous car garage. Click here to watch the video! Read Amna's blog on meeting Jay, here! Check out Amna's new song 'Flux' with Suvi Doll and BollyDoll. Amna's vocals at Timecode: 00:34-00:58. Click here to listen to the hot new track! 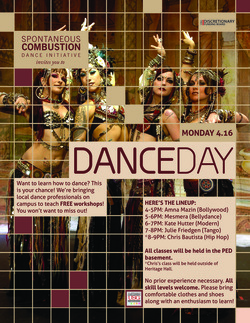 Bollywood Cardio Instructor at University of Southern California, USC, for Dance Day! An insecure college student takes on the challenge of dancing at an underground street-style Bollywood dance competition in order to win the girl of his dreams. First Class with Amna is FREE!!! 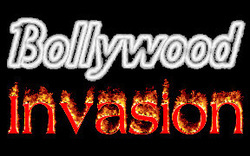 REGISTER FOR BOLLYWOOD CARDIO CLASSES IN GARDEN GROVE NOW! Debuting Amna's students from Costa Mesa School. Come support Amna's FIRST DANCE RECITAL!